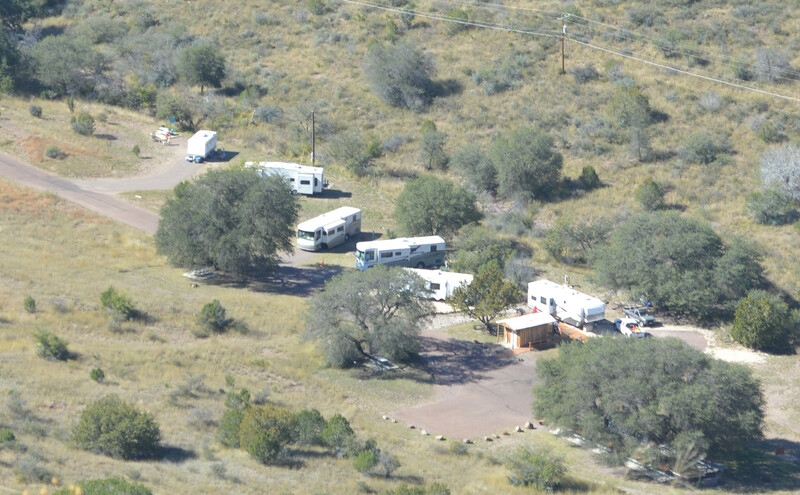 We only spent a couple of nights in the Davis Mountains State Park near Fort Davis. Fort Davis is a lovely small town with charm and friendly residents and several art galleries. We experienced our first session of no cell phone or Wi-Fi capabilities and we survived! It turned cold while there and some of the tent campers cleared camp overnight, and I can’t blame them. we stayed warm and toasty in the 5er but bundled up when we went outside for walks. We drove the skyline drive to view the southern Texas scenery and came across Mule Deer grazing on the hills. We looked for bobcat traces and found none. There were notices of black bear sightings but we did not see them either.